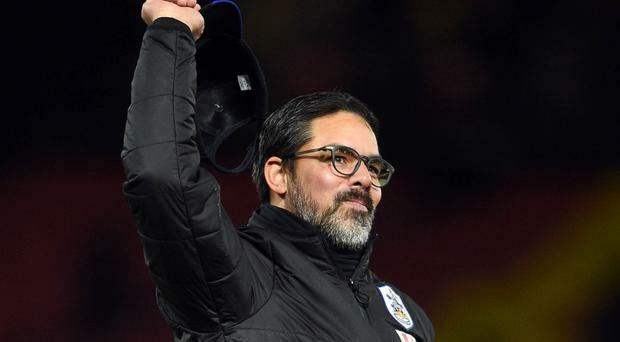 Huddersfield head coach David Wagner is not sure whether he will strengthen his squad during the January transfer window, but insists no players will be leaving without his say so. The Terriers, who bid for back-to-back away wins at Southampton on Saturday, have defied the odds in the Premier League so far this season and Wagner is determined to keep his squad intact. "I can make it totally clear and say loudly, I've spoken with Dean (Hoyle), our owner, we are totally on the same page, no player will leave our club in this transfer window if I don't want to send him on loan or sell him," Wagner said. "This is the truth and this will happen and this is for sure something that is important for us. There will be no outgoings without my permission. This is guaranteed." Wagner received Hoyle's full support in the summer when preparing for the club's first season in the Premier League - Town broke their transfer record six times - and said plans were in place for further recruitment if required. "We've spoken about it so he's aware of my ideas and like always we have to have our eye on the market," Wagner said. "If you ask me if we'll bring some players in, I cannot answer this question. At the minute this is uncertain. "If we add players to our group - to be honest this is not something right now I can say because we have four games before January 1 and nobody knows what will happen in the next four games. "My thoughts can totally change in nine days because of these four games. This is why I cannot seriously answer the question, b ut if we need to, I've a feeling we are prepared." Wagner will be without Elias Kachunga for between 10 and 12 weeks after the forward sustained knee ligament damage in last week's 4-1 win at Watford. Jonathan Hogg will also be missing at the St Mary's Stadium as he serves a one-game ban following his two yellow cards at Vicarage Road. Fellow midfielder Philip Billing (ankle) and defender Michael Hefele (Achilles) are both hoping to return to contention next month, Wagner confirmed. Town's long-awaited second league win on the road at Watford lifted them up to 11th in the table, six points clear of the relegation zone, and they could climb into the top 10 at the season's halfway stage with victory on Saturday. "As everybody can imagine, we have a fantastic mood in the dressing room at the minute," Wagner added. "We drive to Southampton with 21 points after 18 games and a very good away performance and now it's on to the next one in this busy Christmas period."